Last June 19, 2015 at Crowne Plaza in Ortigas, Pasig City, Cherry Mobile Philippines officially launched its all-new Cubix line of mobile devices, which they said will be exclusively available via online distribution channels, mainly Lazada PH. 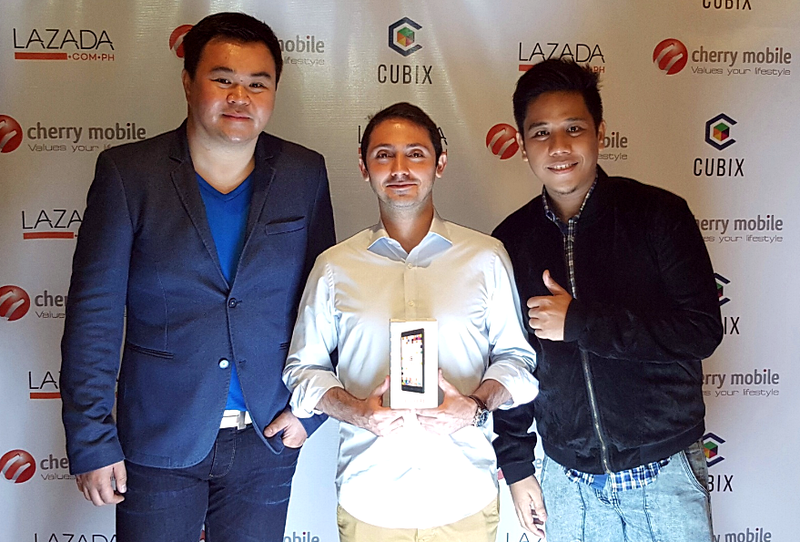 (L-R) Mr. Maynard Ngu - Cherry Mobile Philippines CEO, Mr. Inanc Balci - Lazada PH CEO, and yours truly at the landmark Cubix launch last year. Cubix Cube, the first model in this series, did extremely well during its 2015 run, becoming one of the fastest moving handsets sold at Lazada thus far -- and understandably so. The Php 4,490 phone came with technical specifications akin to that of Android smartphones selling for twice as much during that period. The same thing can be said about Cubix Cube 2, released in December 2015 and became sold-out even before the year ended. Given the success of its two older siblings, I bet Cherry Mobile and Lazada are hoping that the freshly announced Cubix Cube Lite would do just as well if not even better. As its very name suggests, Cubix Cube Lite is a watered down or less powerful version of the first generation release. 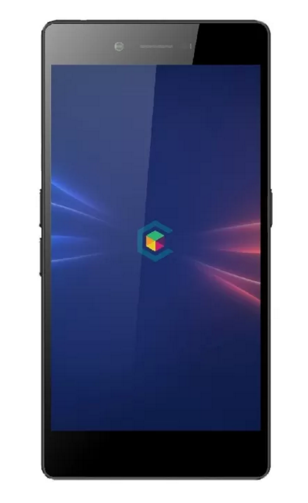 Whereas the 'initial' Cube had a MT6592M Octa Core processor, 2GB of RAM, 16GB of internal storage, 13 MegaPixel main camera, and 5MP front cam, this Lite version features a 1.2 GHz Quad Core ARM Cortex A7 and Mali 400 based MediaTek MT6572M chipset, 1GB of RAM, just 8GB of ROM, 8 MegaPixel main cam, and a 2MP selfie shooter. Interestingly enough, however, the more affordable Dual SIM model has the same 5-inch HD IPS display panel, already runs Android 5.1 Lollipop (vs. KitKat on the original Cube), and even has a bigger 2,500 mAh battery pack. So yes, Cube Lite does have its own charms. 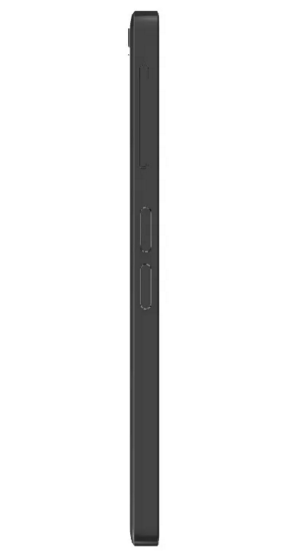 It terms of looks, this device has a rather simple and straight-forward design language. No unnecessary frills or tacky embellishments. 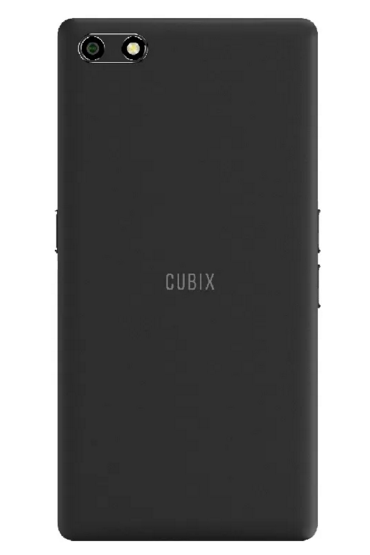 With dimensions of 141.7 x 70.7 x 8.1 millimeters, Cubix Cube Lite is certainly a sleek and capable smartphone that lets you experience one of the more updated versions of Google's mobile operating system without having to break the bank. 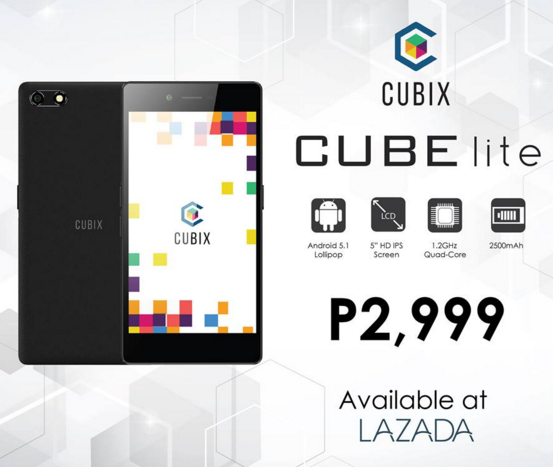 Cubix Cube Lite is now up for purchase at Lazada Philippines online store for just Php 2,999, which should make it pretty enticing to consumers who want to stretch the value of every peso they spend. I think, for that amount, this model - with free jelly case and screen protector - is definitely a great buy.